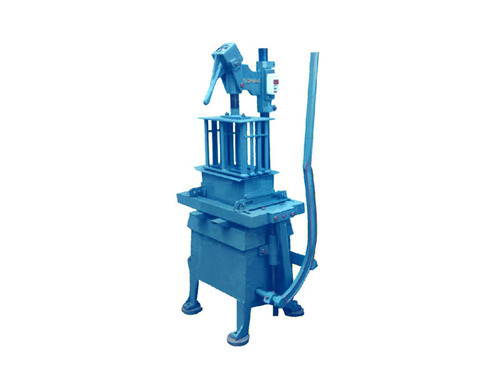 Our skilled, devoted and highly talented professionals are engaged in manufacturing and supplying a world class array of Concrete Brick Making Machine (Electrically operated Vibrated type Concrete Block Making Machine) which are offered by us at leading industry prices. Offered by us in various sizes, dimensions and models, we are also altering them according to the needs and requirements of our clients. In addition to this, we ensure to deliver them to our clients within the provided time frame. Started by a young entrepreneur and visionary Mr. Mavis Davis in 1985 we, Sadhana Engineering Industries introduce ourselves as a leading international standards manufacturer of plastic paver moulds and construction machineries in Kerala with stringent quality controls on all aspects of production thereby, winning the Rashtriya Rattan Award for outstanding individual achievements & distinguished services to the nation and the Best Entrepreneur Award District level 2000-2001 from the Directorate of Industries and Commerce, Govt. of Kerala. We export machineries internationally and offer our products at competitive rates, quality workmanship with timely delivery and after sales support. We are the prominent manufacturer, and exporter in this cut throat market. We are located at a walkable distance from Thrissur (Kerala) Railway station and KSTRC bus stand. Join the Sadhana family and let us prosper together.